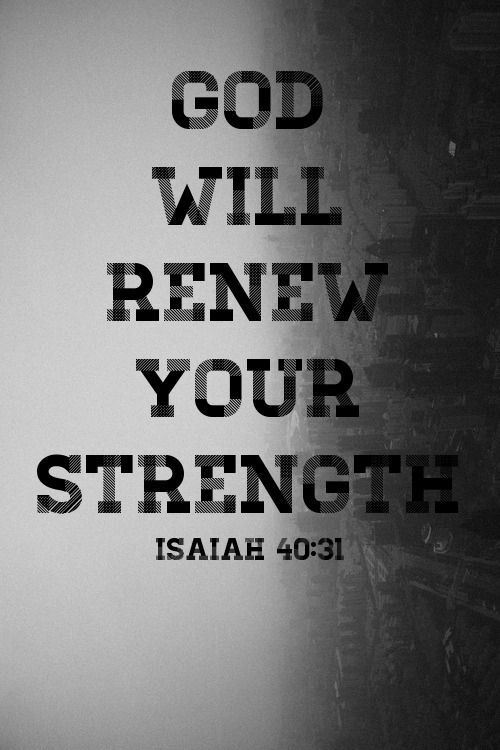 As you wait upon Me, I Am renewing your strength. Yes, My strength is flooding your soul, says the Lord. I give strength to the weary and might to those that have none. You do not have to shake yourself for My strength to rise in you as Samson endeavored, and found out that My Spirit had departed from him. My Spirit will not depart from you, says the Lord, and your strength is always renewable in Me. It will increase more and more in My presence, says the Lord. Don’t be in such a hurry. You do not have to feel empty or depleted. Rushing into My presence and rushing out is like only buying a small amount of gas at a time for a long journey. You will not get very far that way. I want you to bask in My presence and be filled with My Spirit to overflowing, so that not only is your strength renewed, but you are continually able to strengthen the weak.It will not take everything that you have to survive. Your life will become like a reservoir of life that empowers those around you with strength that only comes from Me, says the Lord. Yes, I will strengthen, help and uphold you this day as you receive renewed strength in My presence this day, says the Lord.